In promotion of their latest offer, we were tasked with creating a visual showing of what Friday’s customers showed the greatest interest in. 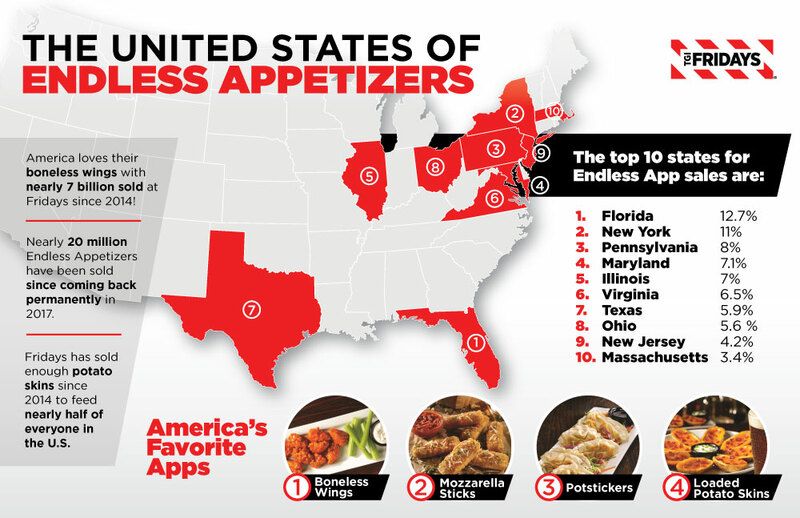 The infographic displayed the data collected surrounding their promotion in an easily digestible manner (just like their appetizers). The content that we worked with on this project made our mouths water.